Look at this list and pass this information on. ALL these people need to be removed from public office. 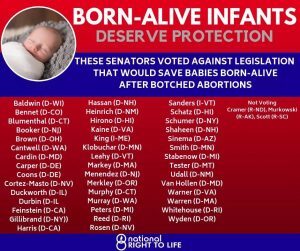 How can we be properly represented in Congress by those that will not protect a born-alive baby from being murdered? If the Lord miraculously allows a baby to survive a ‘late term abortion’ (which also is murder) to be delivered alive then ‘WOE’ to the man or woman who would then murder that baby and those that support this wickedness. We as a ‘Nation’ cannot allow this to continue. People stopped voting due to corruption then candidate Donald Trump brought HOPE for TRUTH and JUSTICE to be restored. You don’t think we didn’t have a ‘Red Tsunami’ ,,,we did but it was stolen as usual by domestic criminal traitors as they always have been and still are. Why do we NEVER VERIFY our election winners? Undercovering the Deep State, What’s Next? Robert David Steele – so much information in this 50 minutes This reveals the ‘swamp’ President Trump is surrounded by working against him and why We the People being active in the election process is needed especially to restore election integrity. 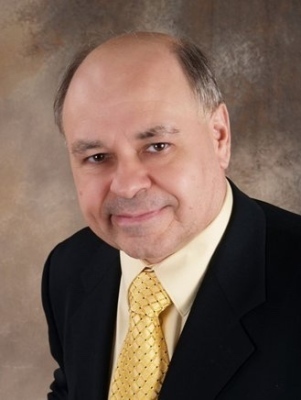 I also will reveal for those that do not know Robert David Steele is ex-CIA – this is a problem because the CIA is so corrupt in their ‘mind-control’ so it is important to discern truth in many ways connecting ‘facts’ that can verify truth based on morality and common sense along with natures law. Listen but verify – the problem I have with Robert is he is a ‘my way or hit the high way’ kind of guy. However knowing this I do not discredit ALL he has to say but I knowingly recognize his arrogance as a ‘red flag’ to discern but not discredit. I also do not like the disrespect he shows President Trump and I also have to note that he ran for president once but dropped out of race. As with most CIA agents they often feel they’re above all in their ‘intelligence’ because they have ALL the SECRET INFORMATION that has been hidden from the rest of us. Information i.e, being INFORMED with TRUTH is KEY to ‘intelligence’ keeping an open mind to gather truth where it is found using ‘commo sense’ and right from wrong to discern. Our battle is mental, physical, and ‘Spiritual’. The democrats openly and publicly said to give President Trump FALSE INFORMATION … so listen and you decide but please do not discredit ALL he says but realize his slandering of President Trump is because he is actually ‘campaigning’. 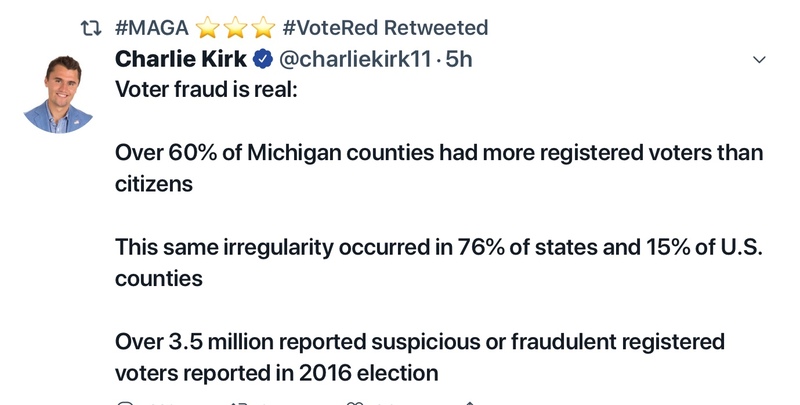 Voter fraud is rampant across this country and Michigan is not exempt. 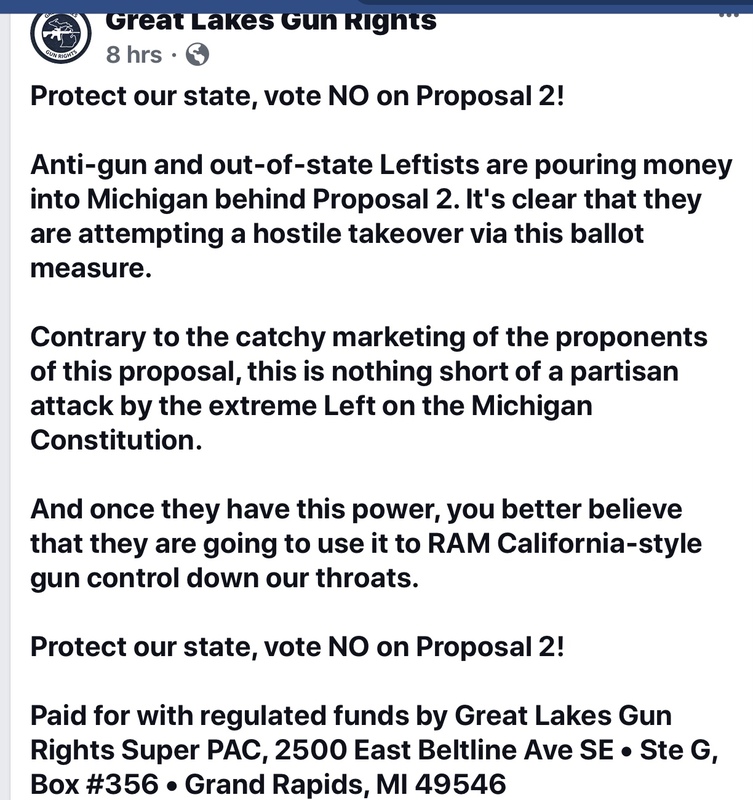 I do not believe Stabenow beat John James by honest vote. Michigan’s Encryption keys for Electronic Voting Machines also are compromised. STATES are sending encryption keys over seas to UK et al – WHY? Strongly suggest you listen to this short video that gives all the information discovered about ELECTION RIGGING that has bee going on for DECADES – that is how the Global Communist have gained and kept control through the DECADES – why some of these people have been in office for 30 to 50 years! John Conyers in our state was in office 50 years – Debbie Stabenow 43 years total in various positions – all the same names constantly surfacing for decades. Take a listen and be educated to the criminal cartel. This should anger anyone that has ever invented or plans on inventing something or anything. How has the GLOBALISTS gained power & wealth besides Election Theft? Stealing PATENTS – please listen to this information and see if it doesn’t anger you too. These ungodly globalist have been feasting off the creativity of the American people for decades stealing intellectual & inventive information. How do we start fixing this? Get out and VOTE REPUBLICAN not because republicans are better but democrats are worse and when we give President Trump a SUPER MAJORITY in CONGRESS we can bring back JUSTICE to WE the PEOPLE then election 2020 we drain the swamp of RINO’s which stands for ‘republican in name only’ the maybe get rid of the ‘party system’ that our Founders NEVER intended our Constitutional REPUBLIC of, by, and for the people to be. Communist Global BANKERS started the party system for division. This is the most powerful, uplifting and encouraging 5 mins I’ve ever heard spoken by any President ever! Bookmark or save this video to send viral for 2020 election. We’ll never have another President that loves our country and people with such sincerity as President Donald j. Trump. We must hold him up in our prayers of protection because the last President that cared this much for his countr and the People was JFK and we know what they did to him. Only 5 mins listen and be encouraged! Thank you Mr President! President Trump needs our help to pull some oppositional plugs so he can continue to drain that stinking DC Swamp. He needs Governors that share his love for our country to work with him. 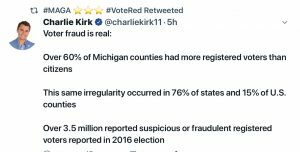 Please do not sit the MidTerms out we need a landslide victory to thwart the election theft planned by the traitorous democrats, soros, & ROMNEY whom just happens to own Electronic voting machines in 17 states and his son runs the company. President Trump gave our REPUBLIC back to We the Peoople so it is our responsibility to unite, stand, and act to ‘claim it’ or it will forever be lost to the communist global Islamist criminals working for their satanic bosses the BANKERS … but I digress … Please watch and be INSPIRED!! Nov 6th lets DRAIN DEBBIE Stabenow and send her home for good. Debbie needs to be RETIRED. All in Congress opposing our Constitution need to be removed. President Trump cannot drain the swamp himself he needs our POWER to FLUSH the SEWER that is stopping the swamp from draining. Get everyone you know to vote on Nov 6th. Use the advantage of ‘Absentee Ballots’ if necessary. We must Unite, Stand, Act to restore USA back to our Constitutional Representative REPUBLIC rule of law of, by, and for the people with Liberty and Justice for ALL – ‘One Nation Under God’. Are you ready for SHARIAH LAW? Do you know DHS created a 100 mile CONSTITUTION-FREE COASTAL BORDER ZONE around USA? Do you know this CONSTITUTION FREE BORDER makes ALL of Michigan Constitution Free? Do you know this SHARIA COMPLIANT CANDIDATE is funded by SOROS, MUSLIM BROTHERHOOD, & CAIR? Do you know he is endorsed by Linda SarSour & Bernie Sanders? Do you know the Communist partnered with Islam (the enemy of my enemy is my friend) after CIA murdered JFK? Do you know that is why Lyndon Johnson lifted the BAN on MUSLIMS/ISLAM? There was a ban because Islam was NOT COMPATIBLE with our CONSTITUTION & they were the PIRATES that were raiding our ships, you probably didn’t know that either right? I strongly suggest this video be watched and also that you share this information with everyone you know including Democrats. We have the largest Muslim Population in USA right here in Michigan & U of M along with MSU are extremely liberable universities. 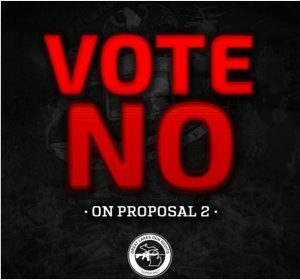 We must DENAND the DHS MANDATE be REMOVED and our CONSTITUTION ENFORCED as well as making sure everyone gets out to vote -we need a LANDSLIDE VICTORY or be prepared to be ruled by SHARIA – Dearborn already is! MICHIGAN PRIMARY – AUGUST 7TH – SHOW UP BECAUSE THIS PRIMARY IS EXTREMELY IMPORTANT. 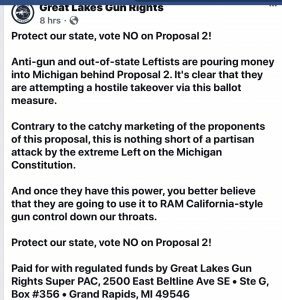 WE FINALLY HAVE ANOTHER OPTION IN MICHIGAN FOR THE FIRST TIME IN OUR HISTORY I THINK – IT IS TIME TO SHED THE POLICE STATE THAT WE’VE BEEN SUBJECTS TO FOR MANY DECADES NOW & THIS CANDICATE COULD VERY WELL RESTORE LIBERTY TO THE PEOPLE OF MICHIGAN. VISIT HIS WEBSITE -link below and share his information far and wide if you want another option! are just servants, who work for you. I want to be one of those servants. I am a “de jure” gubernatorial candidate. That means, I follow the United States Constitution and the Constitution of Michigan. within the limited powers delegated to the government. And I want my Country back! I will stop usurped authority, wherever I find it. CHARLESTON, W.Va. — United States Attorney Mike Stuart and representatives from federal and state law enforcement announced today the formation of a Public Integrity Special Investigations Unit to investigate corrupt public officials, the misuse of public funds, campaign and election law violations and suspected criminal activity. The Public Integrity Special Investigations Unit includes representatives from federal and state agencies including the Federal Bureau of Investigation; the United States Postal Inspection Service; the Internal Revenue Service – Criminal Investigation Division; the Inspector General’s Offices of the United States Department of Health and Human Services, the United States Department of Housing and Urban Development, the United States Department of Veterans Affairs, Department of Defense and the Department of Homeland Security; the West Virginia State Police; the West Virginia Commission on Special Investigations; and the West Virginia State Auditor’s Office. The West Virginia Secretary of State’s Office will assist in investigating campaign and election law violations.